This summer we reviewed and revised our training programs to better serve our clients. Visit www.bobhooey.training for more information on how we can help you and your team succeed. Success Publications has re-released Why Didn't I THINK of That? Check it out! We've been working on reformating and updating many of our previous publications for access via readers like Kobo and Kindle. 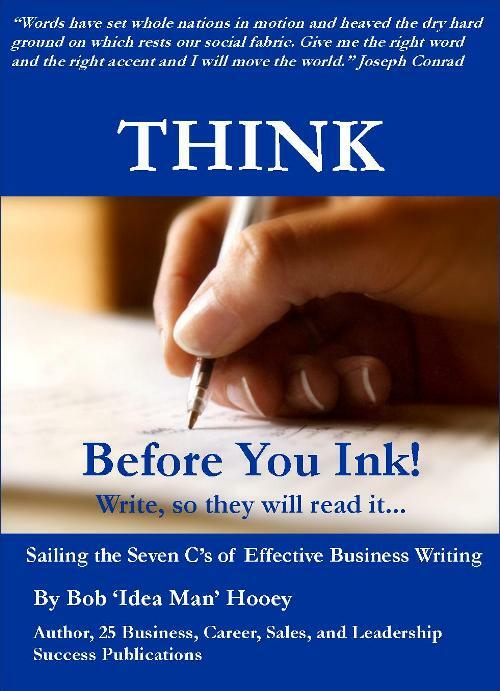 Think Before You Ink will be available soon for download.